Two days to change the life of your family! Refer friends who have never attended the MACHS conference in the past and you could get in FREE! Ask your friends to enter your name in the “referral field” when registering and when enough friends refer just contact [email protected] for your coupon code or refund (upon verification). – Rooms available in the conference hotel, and other hotels close by. – MACHS membership is included with conference registration. – Teens, Children, Alumni and Grandparents can be registered as well. – Missionaries (100% faith supported) please contact [email protected] prior to registering online. 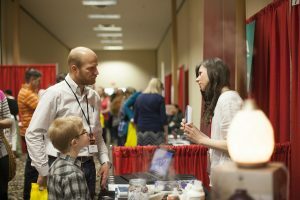 past sessions the moment you register for 2019.
Who qualifies for the missionary registration? Christian missionaries, who are with a Christian-based organization/ministry and are 100% faith supported, qualify for the reduced cost registration. A prayer card or a letter of support from their missionary organization needs to be presented in order to register. Before registering online, please forward a prayer card or support letter to [email protected]. Please mark it “missionary registration” in the subject line. Once the request is confirmed, an email will be forwarded outlining the registration process. My teen will be 13 in the next couple of weeks/month(s), can he/she attend the conference? Teens who will be 13 by summer may attend the conference. Our hotel and conference venue is Victoria Inn near the Winnipeg airport. Our MACHS conference rate is $140 per night. Please call the front desk directly for the best service (204) 786-4801 and request M-A-C-H-S group or use # 851740. If you find a better price online, call the hotel to see if they will be able to match it. Booking directly with the hotel will boost MACHS rating with the hotel and should also give you the best service possible, including cancellation, rather than booking with a third party. If you are willing to stay offsite, there are a number of hotels within a 5-minute walk, but we think the best conference experience will be had at Victoria Inn. 3) Are not disruptive to the other attendees, either in the sessions or the exhibit hall. $10 per child. Children 13 and over must be registered for Teen Track, although they may attend sessions with their parents. Can I purchase an ‘Exhibit Hall Only’ pass? 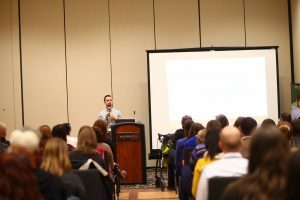 We have regular requests for exhibit hall passes and, although we understand some of the advantages of offering this service, at this time, the MACHS board and conference committee are committed to making the conference a place of fellowship and learning with top-quality speakers and not just a place to shop. We know that some people would like to do so, but the entrance fees are going to remain for the complete package to encourage as many people as possible to take in the lineup of speakers. As far as those who are unable to afford to attend, we would encourage them to contact us, since we do consider requests from those who are financially hindered from registering for the whole conference. 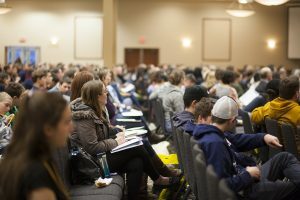 We also do offer a single-day admission rate to the conference, as well as an opportunity to attend the Friday morning “Before You Begin” session, Friday evening’s keynote and the Saturday grad recognition and keynote for free. How do I sign up for the Grad Recognition? If you would like to participate in the 2018 Grad Recognition, please fill out this form here. Who qualifies for the free pastor registration? Only non-homeschooling pastors who are wanting to become more informed about homeschooling and are currently pastoring a church. Pastors who are homeschooling their children need to register and pay for the conference. For further questions regarding registration: Please contact Maureen at [email protected] or 204-392-2669 (call/text).